-Add chicken and cook until it starts turning white, add sausages, then add shrimp after 5 minutes. -Add all your spices to the meat mixture and cook on low heat for about 8 minutes. 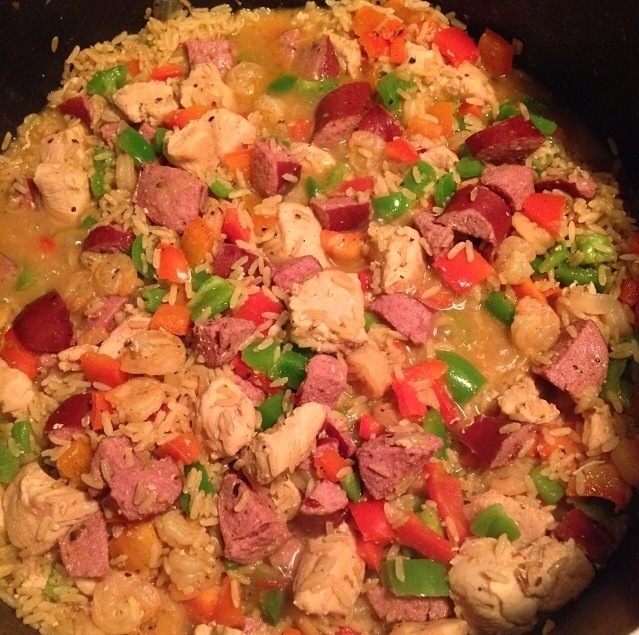 -Add the dry rice to the meat mixture then add the white wine. -After about 2 mins, pour in water, cover and let the mixture boil until the rice is fully cooked. -Pour in diced bell peppers about 5 minutes before you take it off the stove. PS: the picture is from when it was still on the stove!